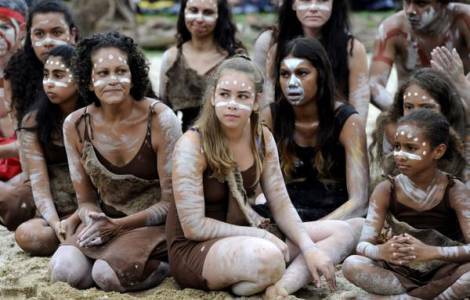 Sydney (Agenzia Fides) - "January 26, 1788 was not a day of celebration for the aborigines and the inhabitants of Torres Strait Islands, nor for the passengers of the 'first fleet', a mixture of prisoners and military personnel. Perhaps it is time to rethink the date our nation meets to recognize the gifts God has given to our great land in the South". This is what was requested in a note by the National Catholic Commission of the Aborigines and the inhabitants of Torres Strait Islands (NATSICC), the day after the Australian National Day, Australian Day, celebrated on 26th January. According to the Commission, continuing to celebrate the "Australia feast" on a day that evokes painful memories and ignores the true local history, is a choice that "makes no sense". Hence, the request to postpone the date. At the suggestion of Jesuit Fr. Richard Leonard, the commission proposes to celebrate Australian Day on May 27, the day in which the 1967 referendum is recalled, with which the Australian people chose to recognize the citizenship of the natives. "In the last year - reads the document sent to Agenzia Fides - the members of the commission asked their acquaintances if they celebrate Australian Day. The most widespread response was a 'no' motivated not by hatred, but by the fact that they feel that this feast does not take into account the wounds suffered by the First People of Australia. Our people understand and respect the pride that some Australians have for this day, yet they recognize that it does not have the foundation of unity and inclusiveness within it". "As Catholics, we can and must be leaders in the adoption of change for the good of unity. We must not be content until the Aboriginal and Torres Strait Islanders feel at home in the Church and in this country". The organism therefore asks to live the celebration of the "aboriginal Sunday", the first Sunday of July with particular attention: "We ask all parishes, schools and organizations to be an example. It is important to emphasize this important day, including Aboriginal and Torres Strait Islanders in the planning and in celebrations, inviting our young people and, above all, explaining the gifts and life experiences that natives bring to Jesus and the Church to the community". The note also asks that the change of date is accompanied by an educational program to tell the true story of Australia, not to "promote guilt in non-indigenous Australia, but to provide an authentic representation of the experiences of the Aborigines and of Torres Strait Islanders. For the sake of our children, we must look and move on".